Head and Shoulders Dandruff Shampoo, Classic Clean is formulated to give new life to your hair while leaving it 100-percent flake free. Gentle and pH balanced, the shampoo features the classic fresh and clean scent that has become the best-selling shampoo in the United States. You will see improvement in your hair and scalp in as little as a week. Keep your dandruff under control with Head and Shoulders. View larger. 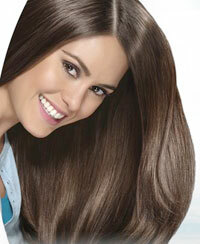 With regular use, your hair will have shine and no flakes. Heads and Shoulders combines a number of ingredients that specifically treat dry scalp and dandruff. Pyrithione zinc is the primary ingredient used to restore scalp health and works by reducing the amount of fungus on the scalp, the leading cause of dandruff. The shampoo also has anti-proliferative agents, such as coal tar, which slows down the production of skin cells to reduce flaking. Finally, ingredients such as sulfur and salicylic acid are keratolytic agents that break down the bonds that hold skin cells together on top of the scalp. By breaking down these bonds, the skin does not shed in clumps and less dandruff is visible. You needn't worry about Head and Shoulders being too harsh on your hair; the shampoo contains moisturizers to maintain the healthiness of your scalp and leave your hair soft and manageable. The formula is gentle enough for use on color-treated hair. Head and Shoulders won't lose its effectiveness over time. As long as you keep using it, you'll continue to get the same dandruff protection. However, when you stop using Head and Shoulders, the flakes will return. Malassezia, the leading cause of dandruff, is naturally occurring fungus that can be removed with Head and Shoulders treatment, but it naturally returns when you stop treating it. Pyrithione zinc. Basic everyday cleaning for normal hair. Made in USA. 이번에 소개 해드릴 제품은 헤드앤숄더 클래식 클린 제품입니다.